An AeroMexico Connect Embraer 170 suffered a wingtip strike with the runway at Chihuahua International Airport (CUU). Flight AM2039 was taking off from Chihuahua on April 10, 2019, for a short 400-mile flight to Monterrey, Mexico (MTY). The aircraft involved in the incident was an Embraer ERJ-170 with registration number XA-SAC. The aircraft is 12 years old and originally flew for Finnair, according to its registration. According to the Aviation Safety Network, the E-170 aircraft rolled to the left during rotation, causing the aircraft’s left wingtip to clip the runway. The aircraft returned to Chihuahua International Airport (CUU) without further incident. No injuries were reported. 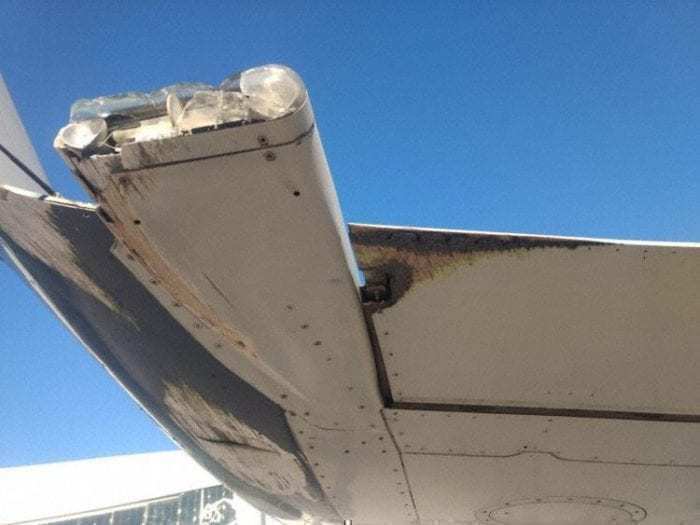 AeroMexico Connect E-170 wingtip damage, reported by AvHerald. Image by AvHerald. This is the second AeroMexico Connect incident in recent years, following the accident of an AeroMexico Embraer E-190 aircraft last summer. 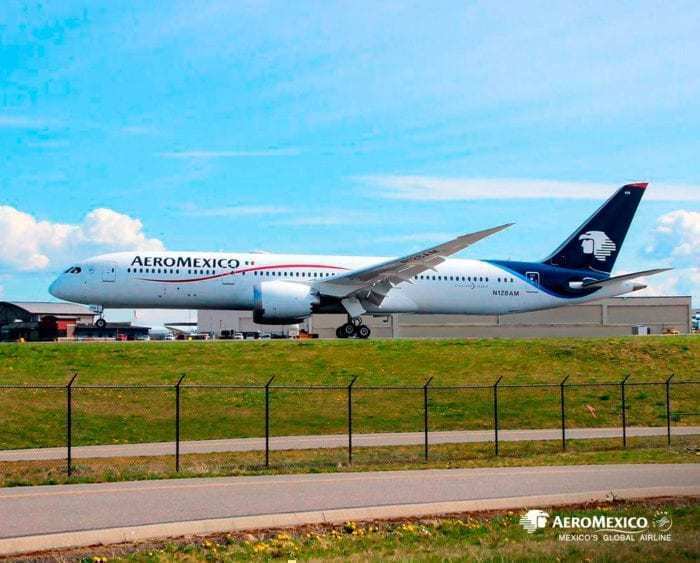 AeroMexico’s newest Boeing 787-9 Dreamliner, delivered April 2019. Photo by AeroMexico. I’ve flown more than 2M miles on airliners. I love to fly. Had I been on that flight, I would have seriously considered hanging I up, on the basis that I had used up all my remaining luck.